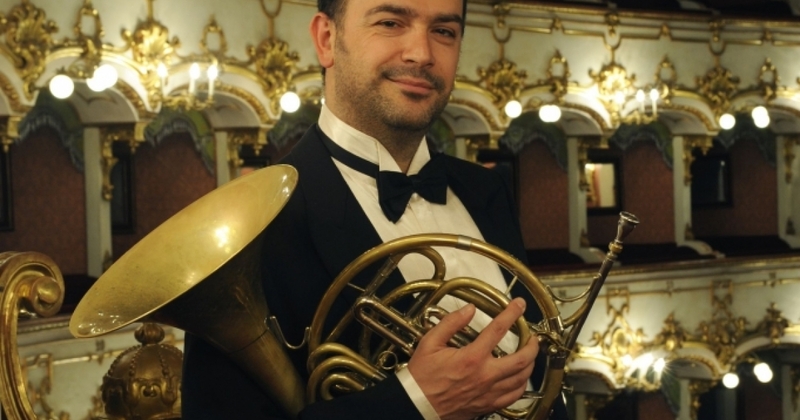 Nilo Caracristi was the first horn of the San Carlo Theater of Naples, fourth horn of the Arena of Verona and, since 2010, is the first horn of the Verdi Theater of Trieste. He won, with the Gomalas Brass Quintet, the first prize at the International competition for Brass Ensemble "Città di Passau", in Germany, considered one of the most important awards in this category. He gave masterclasses in Italy and abroad (USA, Canada, South America etc...). Now he teaches horn at the Conservatory E.F. Dell'Abaco in Verona.